Ronan Dunne is executive vice president and group president of Verizon Wireless with responsibility for all aspects of operations, including marketing operations, wireless operations, network operations, customer care, and digital operations. Previously, he was CEO of O2 for eight years and a member of the Telefónica SA executive committee. 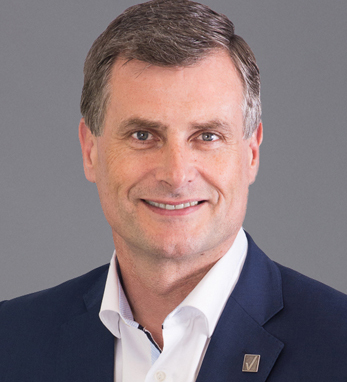 While at O2, Ronan built his reputation for brand and customer experience, being recognized as CEO of the Year by Ethical Corporation and O2 as the Marketing Society’s Brand of the Year in 2015. Born and raised in Dublin, Ronan qualified as a chartered accountant with Deloitte before moving to London in 1987, where he held senior positions with Banque Nationale de Paris, Exel plc, and Waste Management International plc. He is also a member of the Global Irish Network, a participant in the Irish government’s Global Irish Economic Forum, and works closely with Enterprise Ireland and the IDA.